To protect your brands from third party use, we register German and international companies’ brands from various sectors with the relevant organizations and authorities, in particular with the German Patent and Trade Mark Office (DPMA), with the Office for Harmonization in the Internal Market (OHIM) and with the World Intellectual Property Organization (WIPO). Because this is a relatively laborious and complicated process in most cases, professional legal assistance proves worthwhile. In addition, we provide our clients with comprehensive advice as to the options available to them in case of violation of their trademark or naming rights. Many companies commission us to handle disputes relating to internet domains. 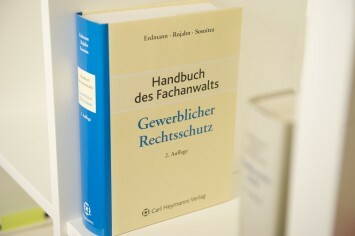 In these cases, we conduct proceedings on behalf of our clients both before German courts as well as the WIPO in Geneva, the latter in terms of UDRP proceedings, one of the arbitration processes developed by ICANN for resolving domain disputes.